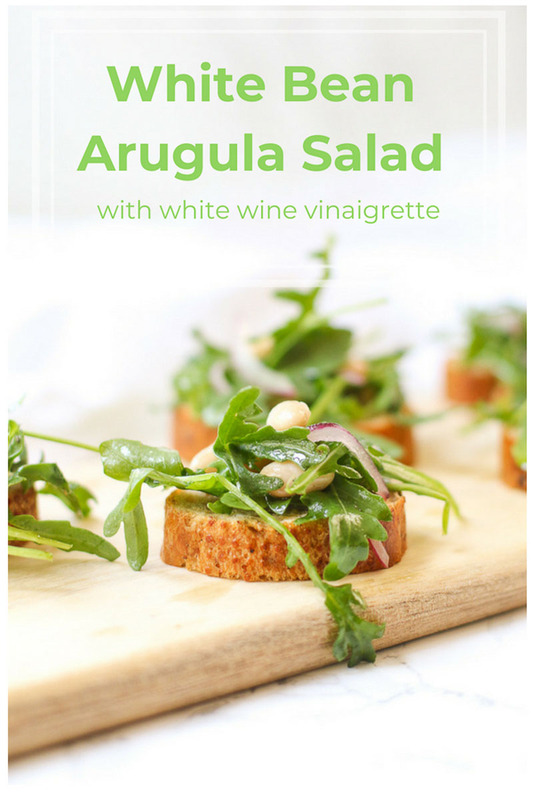 This White Bean Arugula Salad with homemade white wine vinaigrette is an easy no-cook meal for a light lunch or snack dinner on crostini! This recipe is part of my ongoing partnership with Sprouts. In making a no-cook meal, there are plenty of options. Most include copious amounts of produce – obviously. But a key to making no-cook meals satisfying is to add some protein to the mix. Here, I choose beans – no surprise, right?! I went back and forth on naming this recipe. 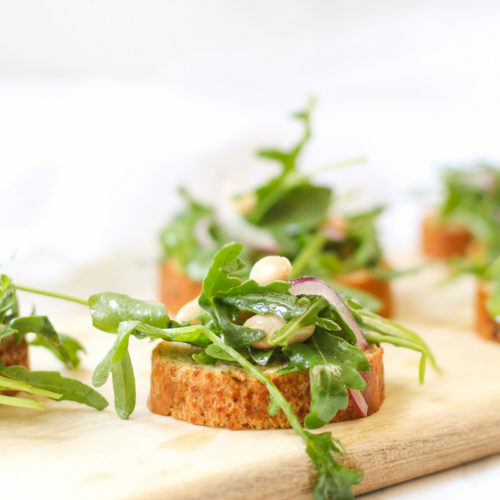 Shall I call it salad toast, salad on toast, salad crostini, or simply Arugula White Bean Salad – add some bread if you’d like? Well, I settled on the latter because I am all about keeping your options open when it comes to food. I’m using baby arugula, Great Northern Beans (but cannellini beans work too), and a few thinly sliced red onions. And these make up the bulk of the salad. But the vinaigrette is the true star of this one. To make it, whisk all ingredients in a large bowl. 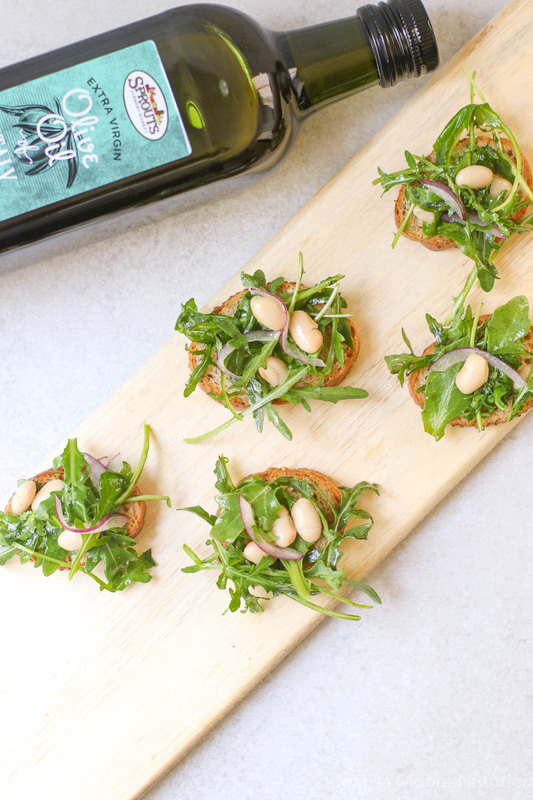 The honey combined with white wine vinegar and Dijon mustard create a savory, sweet and perfectly balanced flavor combination that doesn’t overwhelm the slightly spicy arugula. Whisk the dressing until it’s creamy. Add in the arugula, beans, and red onions and toss to combine. Taste it and season with additional salt and pepper if needed. Now, the meal is complete. But you don’t have to stop here. 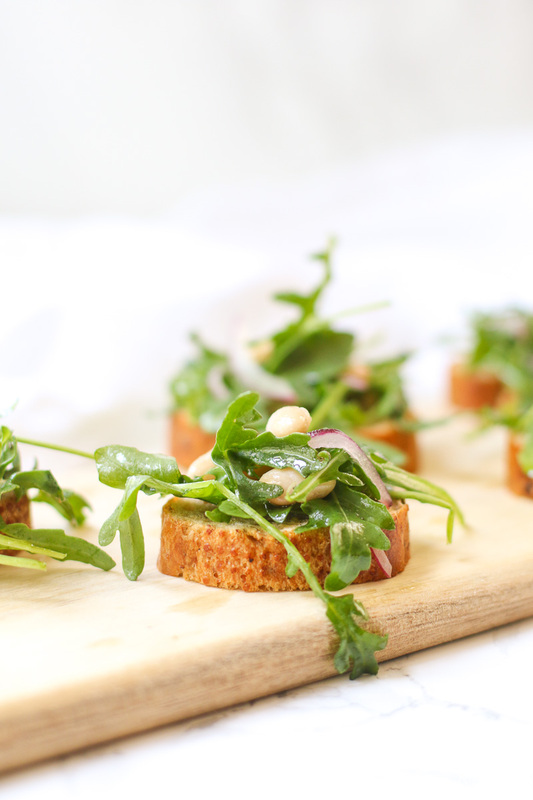 Add homemade croutons or serve the salad on top of crostini for a light lunch or addition to a snack dinner. 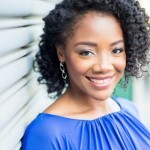 This month’s Sprouts in-store cooking demo class theme is no-cook meals. As we’ve been hovering around 90 with plenty of humidity, July is the perfect time to explore ways to keep it cool in the kitchen. I’m sharing my simple grape Caprese appetizer and a new pesto zucchini noodle salad that I’ll soon post here. If you need a zoodle recipe right now, check out my Zucchini Noodles with Tomato, Basil & Parmesan. 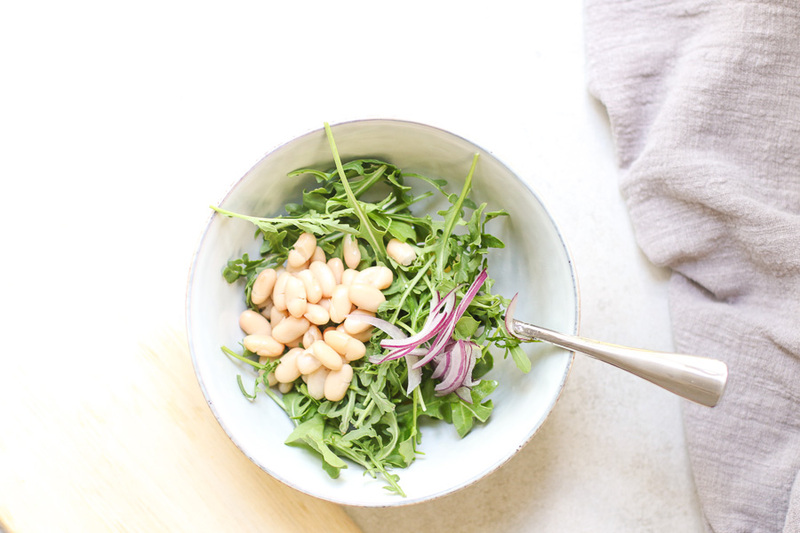 This easy White Bean Arugula Salad is a no-cook meal that’s perfect for a light lunch or snack dinner served on crostini! It's perfectly seasoned with a fresh homemade white wine vinaigrette. 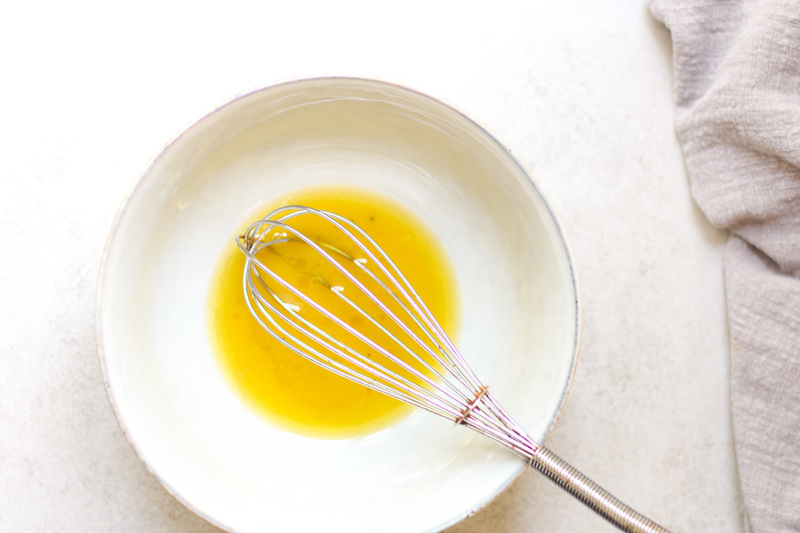 In a large bowl, whisk the vinegar, mustard, honey, garlic, olive oil, salt, and pepper until creamy. Add the remaining ingredients. Toss to coat to combine and serve. You can purchase sliced crostini in the Sprouts bakery.